A couple of months ago, I had the privilege of being a member of a panel for the Kern Economic Development Foundation’s first-ever Aspire Conference, speaking to about 220 high school juniors and seniors who were on track to graduate high school and head off to college – some of them being the first in their family to do so. The theme of the event was “Success In and Beyond High School” and the panel talked about why Kern County is a great place to start a life after finishing one’s education. Very few rose their hands. While disappointing, in truth, the response wasn’t all that surprising. After all, most kids who grow up in one place for the majority of their lives naturally yearn to see what else the world has to offer. It was no different than my hometown of Simi Valley, where all my friends couldn’t wait to pack up, leave and never come back. Even though I didn’t mind staying, I, too, packed up, left and never came back. But that’s because the place I relocated to was Bakersfield. 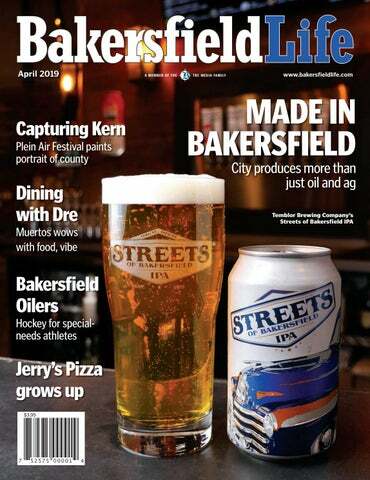 Bakersfield grows on you, whether you want it to or not. The community is unique and you can forge your own path and come into your own here. Bakersfield allowed me to reach my potential. When I moved here, I was soft-spoken and timid. Now … well, let’s just say some people probably wish I was still soft-spoken and timid. Bakersfield provided me with opportunities I would never have dreamed of had I been anywhere else. It’s really hard to imagine where I’d be had the road taken me in a different direction. I think that many of those students will realize what they had in Bakersfield as soon as they leave it. That’s why so many who didn’t raise their hands will eventually come back. But it’s unrealistic to expect everyone to stay or come back, so I encouraged those who do leave to be proud of where they come from – to have pride in their hometown. They will be the ones who put Bakersfield on the maps of strange friends and friendly strangers in places far and wide, so let us speak highly of it to help change the narrative surrounding our city – to be advocates for the place many grew up in and many others call home. Some of us were made by Bakersfield. But all of us make Bakersfield.